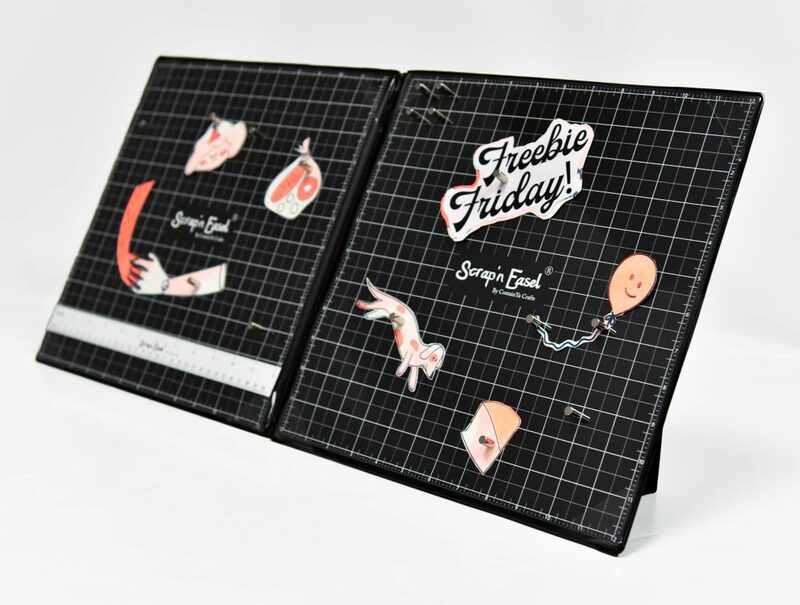 Welcome Friends to Freebie Friday! Today we have a great giveaway from Scrap N’ Easel! Also note, we’ve got a change coming. Freebie Friday will be every other week for the next few months. ContainYa Crafts started initially with Scrap’n Tote, a storage system for Cricut cartridge storage. This opportunity led to meeting scrapbooking women from all over who were complaining of aches and pains related to long hours spent scrapbooking. Their main complaints were lower back and neck fatigue caused by hunching over a table to scrapbook, and in all honesty, your hobby should be enjoyable and not cause pain! So, if it caused pain to be bent over the scrapbooking table then the solution was to bring the work surface up closer to the scrapbooker for complete visibility, without the need to bend the body or neck. A magnetic easel was the solution! 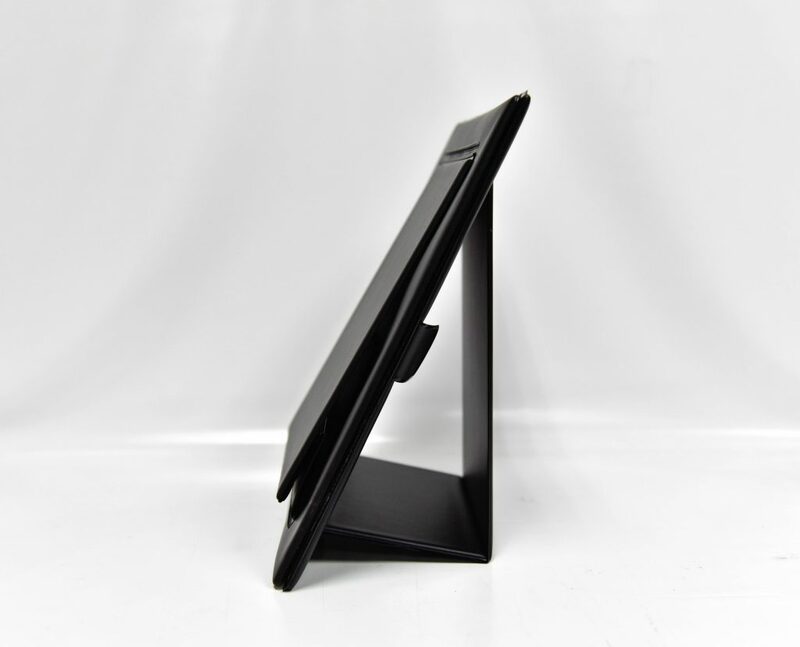 The Scrap N’ Easel gives the scrapbooker the visibility without fatigue to the body and super strong magnets held the multiple layers in place. In addition, without the body fatigue, scrapbookers are now able to scrapbook for longer periods of time. Comment below for a chance to win your very own Scrap N’ Easel! A retail value of $79.99. Let’s give a ‘Like” to Scrap N’ Easel over on Facebook! Last week Simple Stories had a wonderful giveaway. The winner of that prize is…..
Congratulations! Please email diana@scrapbookexpo.com with “Simple Stories Freebie Friday Winner” in the subject line. Due to our schedule change, I’ll be back Friday, December 21 to announce the winner AND I’ll have another awesome prize up for grabs. Have a great weekend! This entry was posted in Freebie Friday and tagged ContainYa Crafts, magnetic easel, Pain-free Scrapping, Scrap N Easel, Scrapbooking. I have seen this used at the Expo crops and just love it.